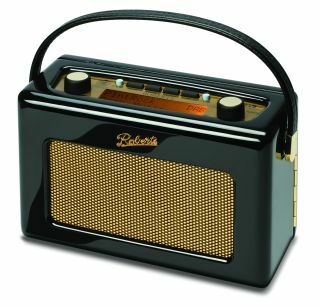 A new integrated FM and digital radio station guide is set to be integrated into new digital radios, according to proposals put to the House of Lords this week. The House of Lords Select Committee is meeting to discuss the various issues surrounding the TV and radio digital switchover. The latest proposals for a guide that covers all FM and digital stations – both commercial stations and BBC local and national stations – will enable older listeners to easily switch between their familiar FM stations and the (at first confusing) morass of new-fangled digital stations. Radio manufacturers such as Pure, Sony and Roberts will work with the industry in order to design and develop the new electronic programme guide (EPG). The radio industry is also looking to develop in-car digital radios with a number of major car manufacturers, which would also use the new EPG. Ford Ennals, chief executive of Digital Radio UK, is set to propose the new EPG plan to the House of Lords Select Committee this week. The current proposed target date for radio's digital switchover is 2015, at which time FM will still be used, but only for community and a limited number of local radio stations. Sion Simon, the Minister for the Creative Industries, said in the House of Commons this month: "The current generation of DAB sets has tended to make that move [to a new platform] a rather sharp distinction, which has led to the fear that FM will end up being a second-class ghetto tier. "To avoid that, we are committed to ensuring the implementation of a combined station guide, which is similar to an electronic programme guide, that will allow listeners to access all stations by name, irrespective of the platform."